Sharing our knowledge? It goes without saying. In addition to our own artistic productions, we teach a variety of different courses, for all ages. And we know both glass and circus! Juggle, create own glass artifacts, make somersaults or create glass music? We develop and organize courses and projects for children and young people in circus, art education and music. 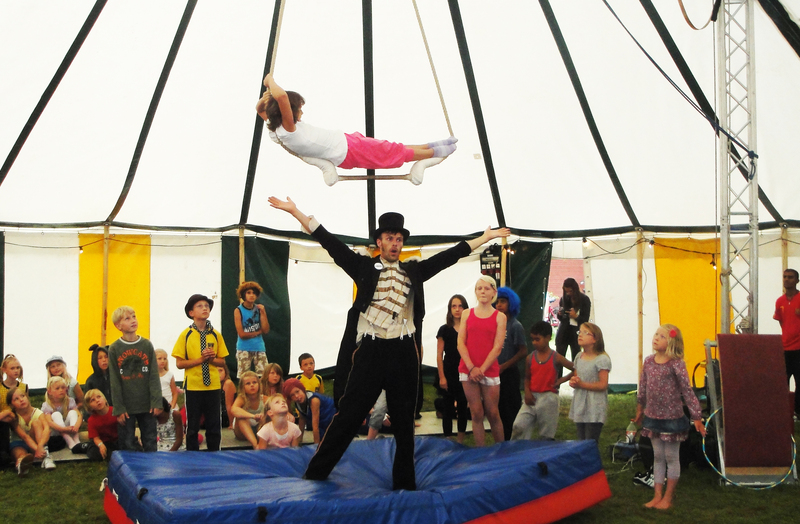 In the course “Circus Camps” (11-14 years old), you learn juggling, tightrope walking, acrobatics and much more! The course is offered during the summer holidays or autumn holidays, in various locations in Växjö Municipality and Lessebo Municipality. “Glass School” (9-11 years old) is an exciting and fun course in art glass for children, where each participant design their own glass artwork. We are two educators who work with small groups of steaming hot glass in a glass studio. If you want more information about our courses, write to us: info@circusglassroyale.se. Trying something new is as thrilling every time, no matter your background or previous experience. We offer workshops in glass blowing, glass art and circus – something you just have to try! 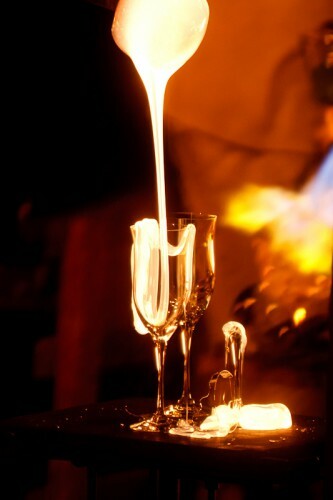 Together with the team we approach, in a playful way, the warm and cold glass. Collaboration and creativity in a glass studio is equally suitable for the bachelorette party as for team building at work.